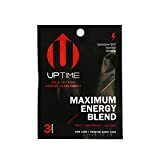 UPTime Energy Tablets are a blend of caffeine, vitamins, and herbs believed to promote alertness and concentration. 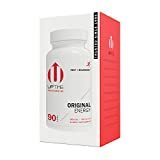 Those using UPTime are instructed to consume 1 tablet per 50 pounds of body weight. 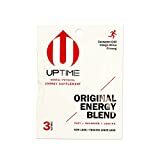 UPTime is generally marketed to students and students should make note of caffeine consumed from other sources when wishing to use UPTime. No more than 6 UPTime tablets should be consumed in a 24 hour period or a total of 400mg of caffeine from all sources. 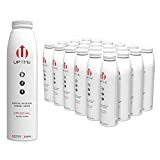 UPTime also is available as an Energy Drink.